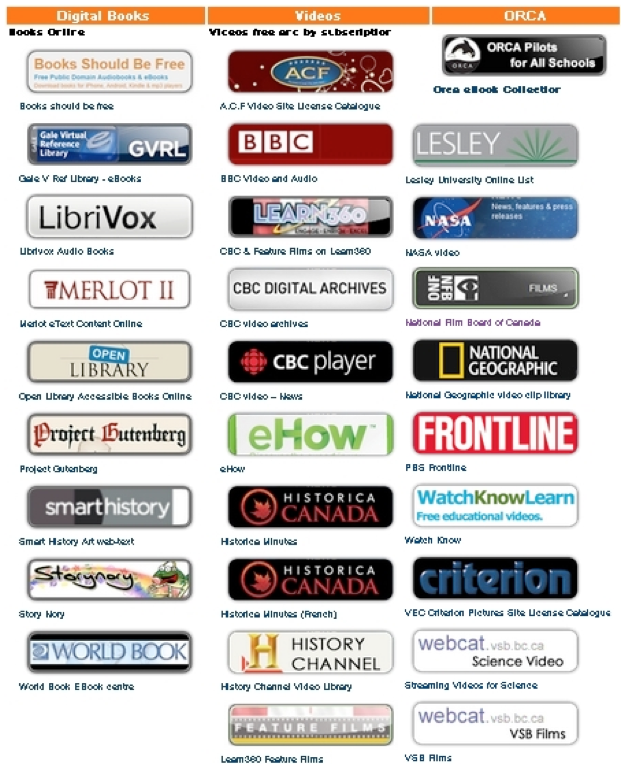 Our “digital library” (Tennyson’s library catalogue and the VSB’s electronic resources) can be accessed online from any computer that has Internet access. This sheet gives you basic instructions on using most of the resources and tools. It is a handy reference for you to keep at home. If you have a computer, that would be an ideal spot to post this sheet. Our library will be open Monday - Friday before school (8:35-8:55 am) and after school except Wednesday afternoons (3:00-3:20 pm). Students and their families are welcome to drop in to read and exchange books, parents can borrow up to five books at the time, find information, get help with completing assignments, or use any of the electronic resources on our hub of computers. I’m here to help! I encourage all students to check their Tennyson library account on a regular basis. This helps students to keep track of their library books and textbooks. Which books you have checked out. How many books you have checked out. When your books are due. If you have any lost or overdue books. Also, you can create and save lists of books that you are interested in. Click on the “My Account” tab or the “Login” button. Type your BceSIS number _____ _____________ in the box beside “BceSIS Number:”. Click on the “Login to webcat” button. You can use WebCat (short for “web catalogue”) to search for books in our library. But, you need to tell WebCat to only search our library: click on the “School Collections” tab then click on “Tennyson Elementary”. You can then search WebCat as you normally would. The Vancouver School Board provides all students with access to a “digital library” filled with databases, e-books, and video services. (A database is an organized collection of information; an e-book is an electronic book). Students can find information to do research and complete assignments, read and interact with e-books, and watch educational videos. Click on the “Databases” tab or “eBooks/Video” tab.